My oldest son finishes school this year. So I made a call to my wonderful photographer neighbor friend, Danielle Dewald Pease, who agreed to take pictures FAST. She totally rescued us and did a great job with the pictures. 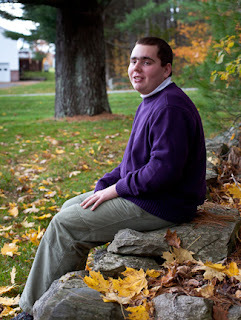 I loved that she researched taking pictures of people on the autism spectrum. It is not easy to get a relaxed genuine smile, but a little potty humor did the trick! Who can believe that my first baby is now grown up? My younger son has been in a soccer tournament the past two weekends, and they won, so that means we are traveling somewhere in Maine for the next level. Oh me oh my again. Congratulations to your son. He has a beautiful smile.